Textkernel looks back at a successful 2013 full of innovation, product development and advanced projects. Textkernel has placed semantic recruitment technology on the map and is internationally recognised as one of the key players in this field. Together with our customers and partners we have realised cool innovative projects this year. Let’s look back at what 2013 has brought for Textkernel. Textkernel has welcomed multiple partners, customers and projects in 2013. We have entered into new (international) partnerships with for example Bullhorn, Hirease, Nétive, Talentsoft and Successfactors. We also integrated more products at existing partners such as at Carerix, KWP, Connexys, Recruiter XL and Umantis. Together with our partners and customers we have realised great projects and new uses with our semantic technology. For Pôle Emploi we integrated discrimination detection in jobs. XING makes use of Textkernel’s job parsing in its XTM product and in the Netherlands Textkernel cooperates in the project Let’s Connect by Brainport Development for creating transparency in the labour market. Other fine examples of new (international) projects of Textkernel are SII (PL), Infojobs (ES), Groupe Moniteur (FR), YER (NL), Career Booster (FR), Gild (US), Unique (NL), Absolventa (DE), Konvert Interim (BE), Careesma (IN), Rabobank (NL), Stepstone (DE), Ouest France (FR) and Bosch (DE). We would like to thank all of our partners and customers for the great cooperation in 2013 and look forward to a strong continuation in the coming years! Textkernel endorses the importance of information exchange and standards in the HR world and has participated in various initiatives. As an expert in the field of information processing, Textkernel takes part in the SETU workgroup for developing a Dutch standard for exchange of CVs and candidate information. 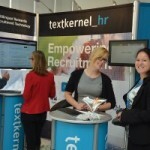 Textkernel is also the first HR technology supplier to offer support for the, in October launched, ESCO taxonomy. 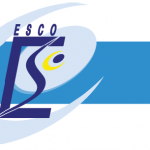 ESCO is the European classification of skills, competences, qualifications and occupations for jobs and candidate profiles, and is available in all official languages of the EU. Another example of a standard that facilitates information exchange is the ‘Apply with’-widget by Textkernel for social network profiles. This widget offers candidates the choice with which profile they want to apply (CV or LinkedIn, Xing, Viadeo, Facebook or Google+ profile). Textkernel converts the information from the profiles into one standard and the hiring company receives all candidate information in the same format in the database. With six products, Textkernel has built a substantial portfolio over the years. 2013 was marked by expansion and optimisation of the current products. Textkernel aims to simplify the matching process between jobs and candidates with its semantic technology. In 2013 we implemented several new features and improvements that will help recruiters to connect people and jobs more efficiently. Check out all new releases. 2013 was a busy year in terms of events. Textkernel was present at events in 15 cities in five countries, including the Recruitment Agency Expo in London, the Solutions Ressources Humaines in Paris, HR Tech Europe in Amsterdam, Zukunft Personal in Cologne and various partner events. Textkernel was also present at technology events and CEO Jakub Zavrel spoke at several conferences about Matching, Active Sourcing and Semantic Technology. Also in 2014 we will participate at various events. Check out the planned events for 2014. 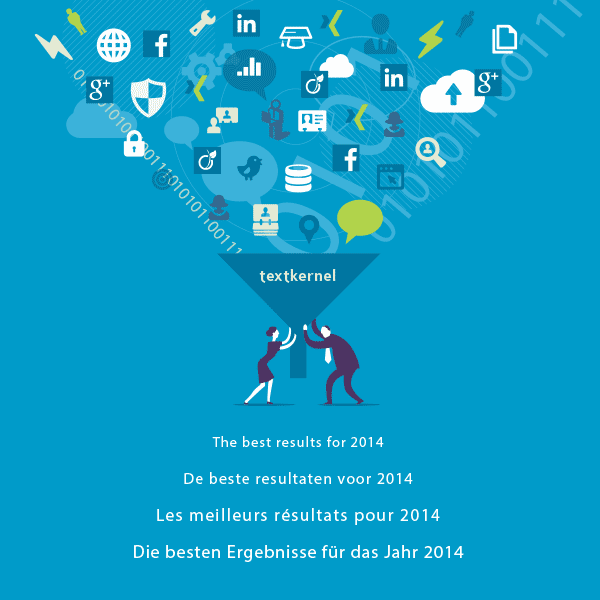 Textkernel looks back on a successful and innovative 2013. Together with its customers and partners, Textkernel realised some cool technological innovations. The whole Textkernel team wishes everyone a successful 2014!